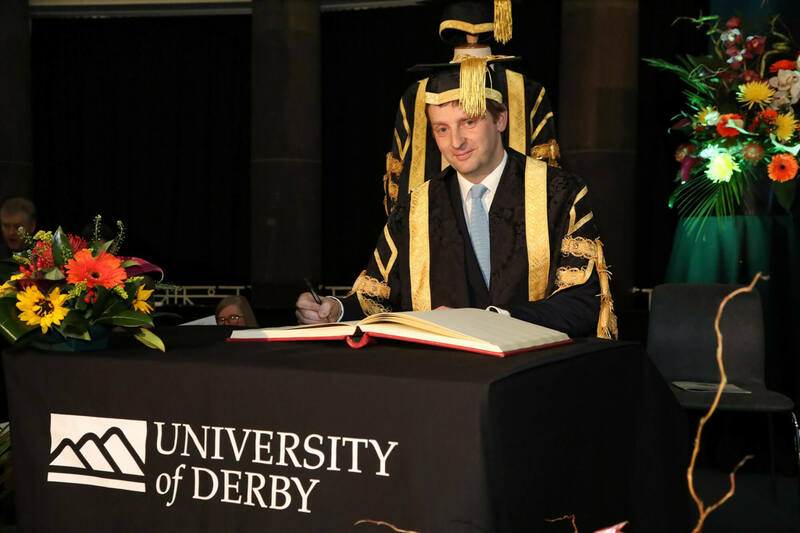 The Chancellor is the non-executive ceremonial head of the University, who normally presides at meetings of the University Court and at official events, such as the awards ceremonies. The Chancellor is not a member of Governing Council or any of the committees of Council. However, they may occasionally be invited to take part in committees set up for special purposes. Our current Chancellor, William Cavendish, Earl of Burlington was installed at a ceremony held in The Devonshire Dome, at the University’s Buxton Campus on Thursday 15 March 2018. For further information please contact Governance Services on 01332 594191 or email governance@derby.ac.uk.